Commissioner Tom Green called DePalma “an inspiration” to him and said he wasn’t happy with the park’s original name. 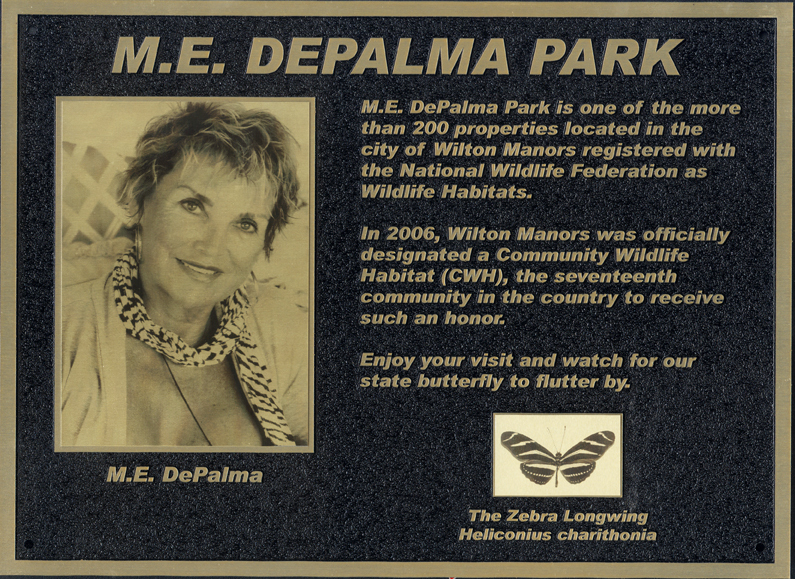 “I hate the name of that park.” DePalma, a 17-year resident of the city and former planning and zoning board member, played an important role in getting Wilton Manors certified, in July 2006, as a Community Wildlife Habitat by the National Wildlife Federation. “I am so grateful for you and all those who have worked with you to build up our community,” said Vice Mayor Justin Flippen. 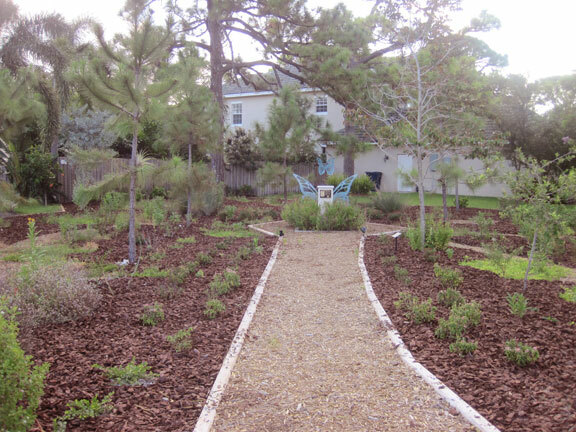 The goal of the program is to get people to landscape their yards in a more environmentally friendly way that also provides shelter, water and a source of food to native birds, butterflies and other species. She also thanked Diana Guidry, with NatureScape Broward, and Patrick Cann, Wilton Manors leisure services director. “He just kept being there for me,” said DePalma of Cann. 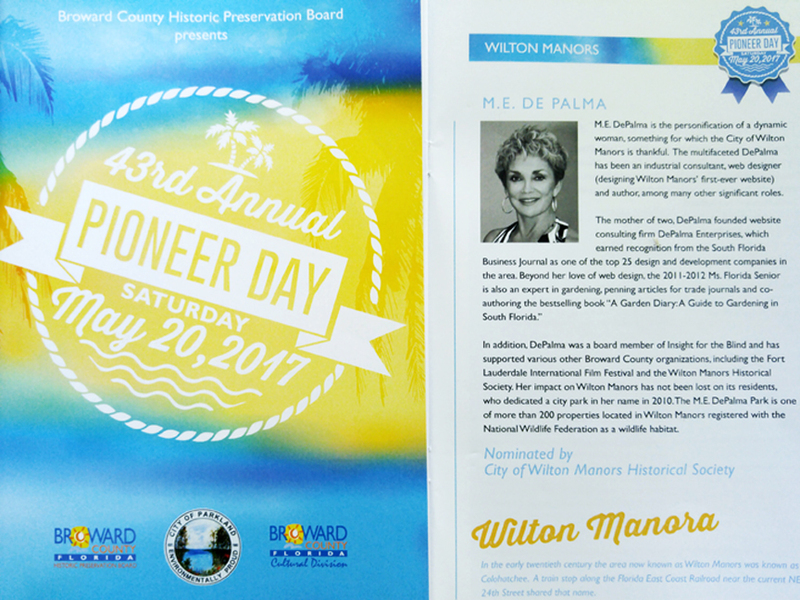 Wilton Manors was the second city in Broward County to be certified; Coconut Creek was first in 2005. DePalma also served on the board for Naturescape Broward and helped get the county certified. 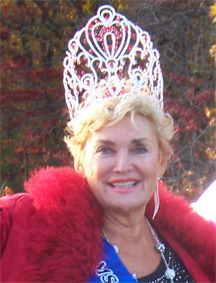 In 2005 Broward and Arlington County, Virginia tied as the first two counties in the nation to be certified. “You helped my wife and I get our house to be one of the ones that helped push the city to be what it is today and it’s a greener, meaner place to be in, so to speak. It’s a remarkable thing that you’ve done for this community,” said Commissioner Scott Newton. “She does so many things. 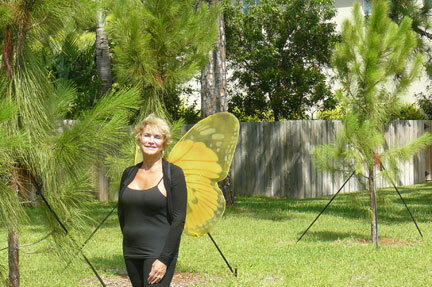 She says it’s everybody else but she’s really the catalyst of it all,” said Hadny Fayyaz, vice president of the Fort Lauderdale Garden Club, of which DePalma is a member. 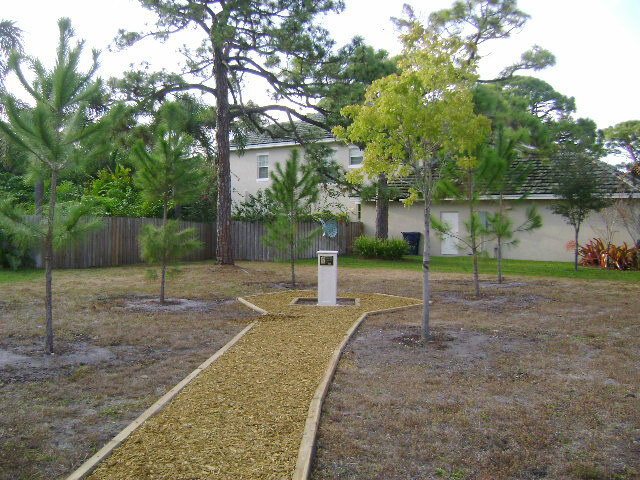 The City installed a walkway and a monument. They are planting butterfly attracting plants like native salvia, beauty berry, wild coffee, milkweed, porterweed, pentas and wild lime. 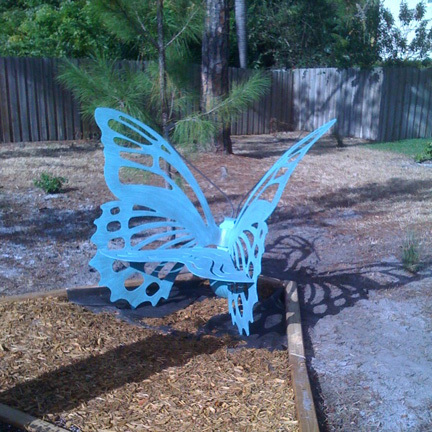 The park bench in the shape of a butterfly was also added. If you have a story about one of our ENA members, please send it to us and we will be happy to publish it on the website.